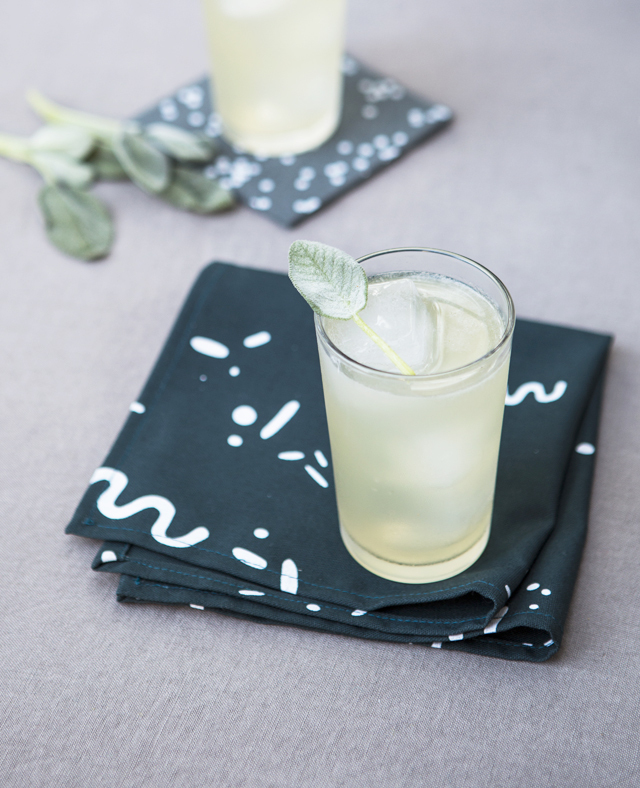 I’m so excited to debut new cloth napkins, drink coasters, and felt trivets today, as part Cotton & Flax’s new Holiday Collection! 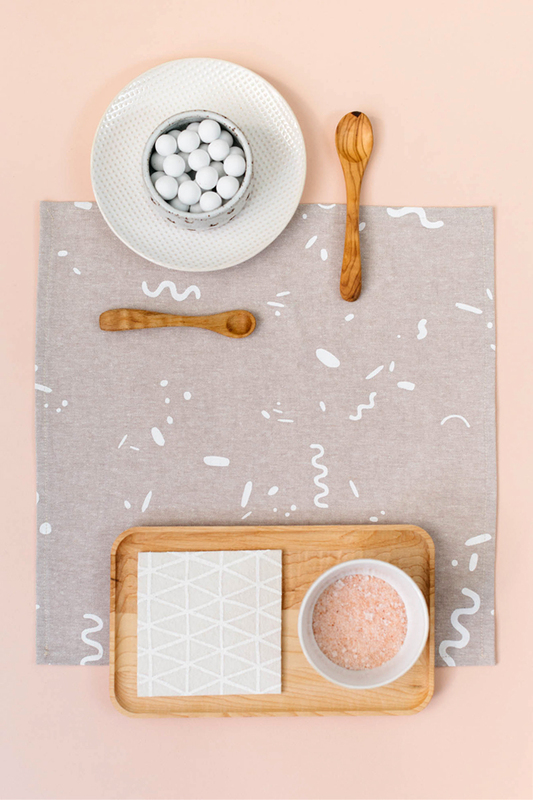 All the tabletop goods in this collection are designed with entertaining in mind. 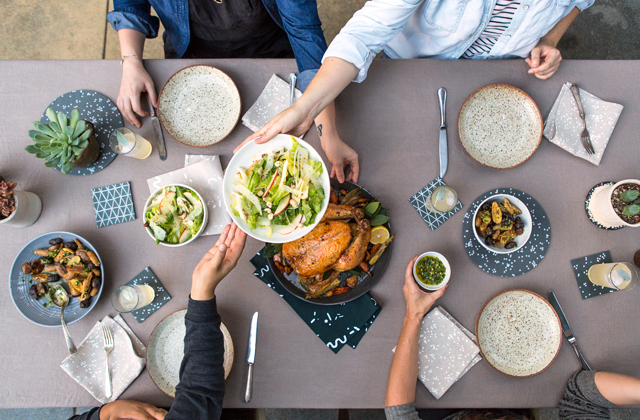 This time of year can be hectic, and slowing down to enjoy a meal or a drink with friends and loved ones is one of the best ways to mark the season. 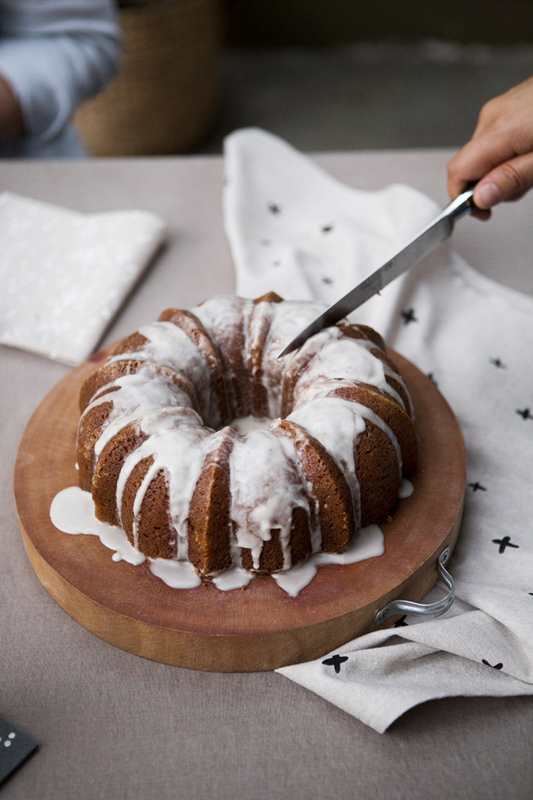 I aim to create pieces that will make hosting a dinner party or cocktail hour a little more fun. I hope this California-inspired lookbook gets you excited about entertaining friends during the holiday season. 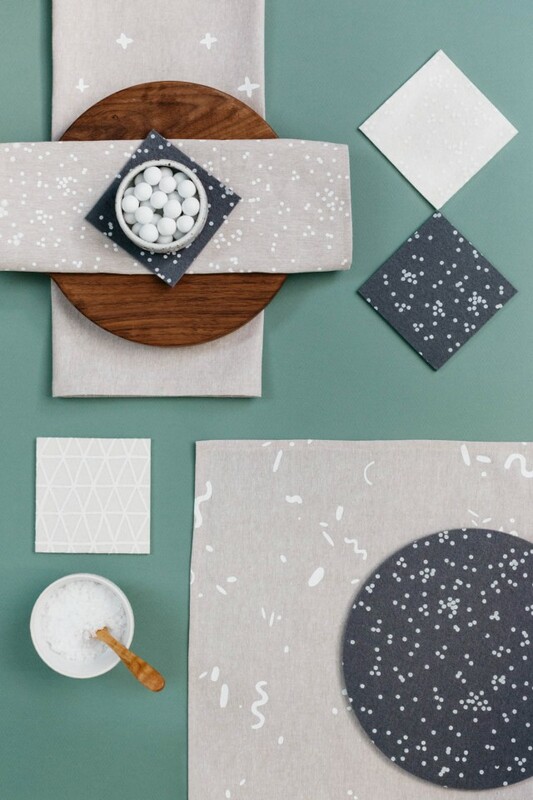 This new afterparty napkin design comes in two colorways: flax linen (a Cotton & Flax classic), or a beautiful dark green, which is a gross between a dark forest and teal shade. 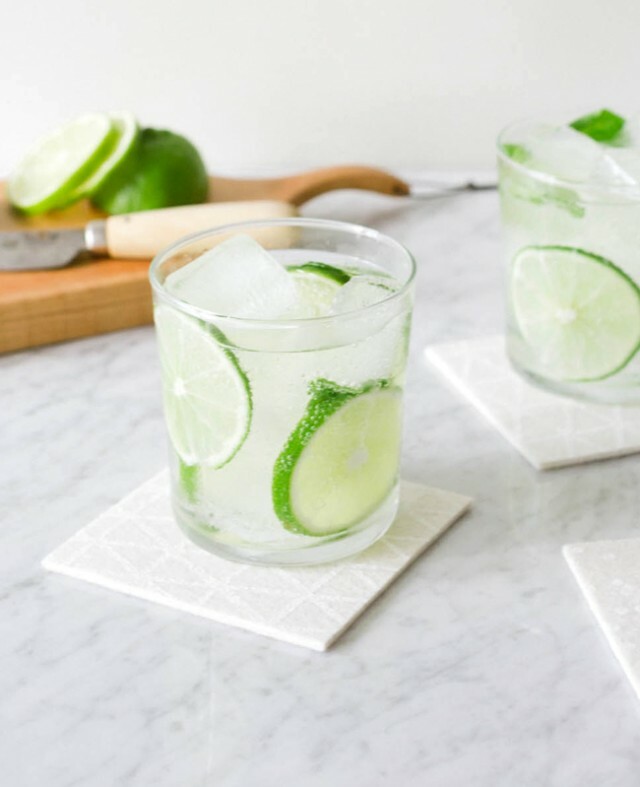 Either option makes a great addition to holiday cocktail hour. Trivets are finally back in the shop! 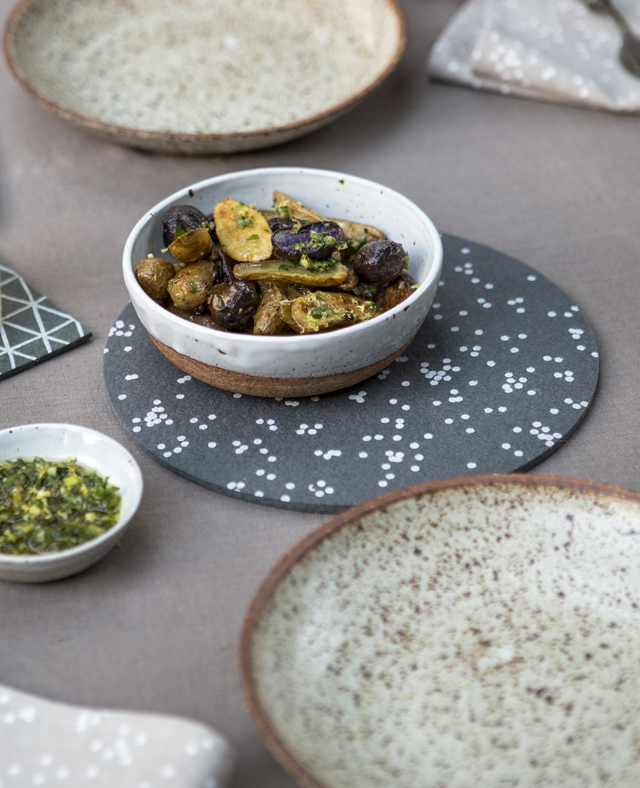 Felt trivets have become a staple in my home, they make any dinner table feel more festive. 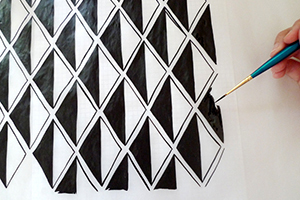 Plus, they are as useful as they are beautiful – they protect your table top from heat and scratches, while adding a graphic pop of pattern to the decor. This lookbook came together with the help of some amazing friends: Laure Joliet photographed the scene, expertly styled by Caroline Hwang. My lovely friends Katie and Lisa also joined us for the afternoon, and the dinner that Caroline created for us was truly delicious. 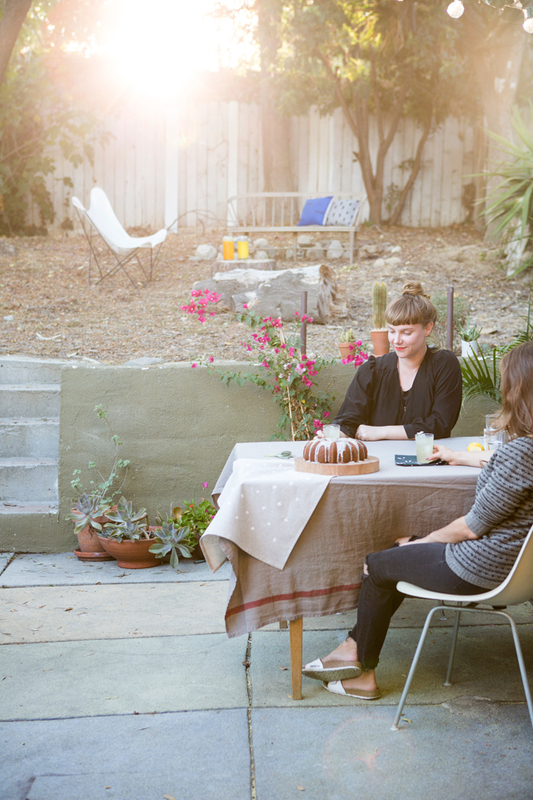 I love the way Laure’s photos capture magic hour in LA. I’ll be sharing more details about the individual products in the collection in the next week, but you visit the shop now to see what’s new. Let me know what you think of the holiday collection over on Instagram or Twitter! 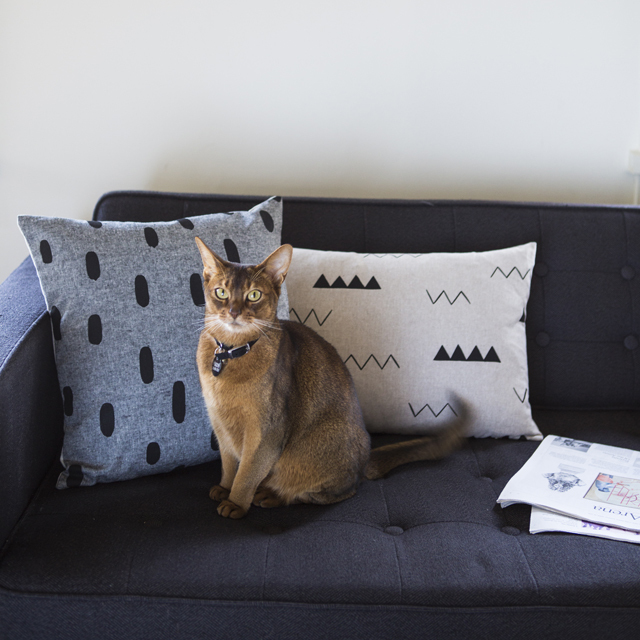 I was so excited to see Vané Broussard‘s lovely home featured on the West Elm blog last week, and even more thrilled to see a pair of Cotton & Flax Zig Zag pillows warming her new modern sofa. 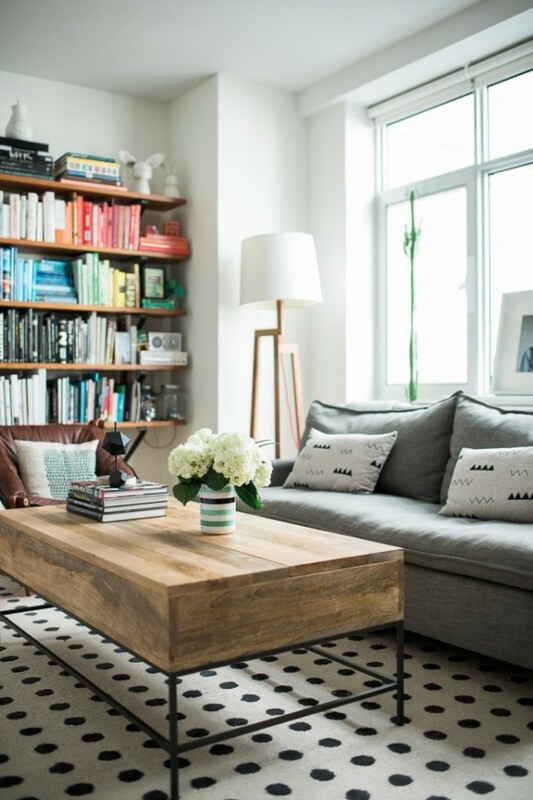 I love when my customers share their homes, and Vané’s gorgeous Brooklyn home is no exception. That rainbow bookshelf has me smiling! If you have a Cotton & Flax piece in your home, show how you’ve styled it by tagging @cottonandflax in a photo on Instagram! 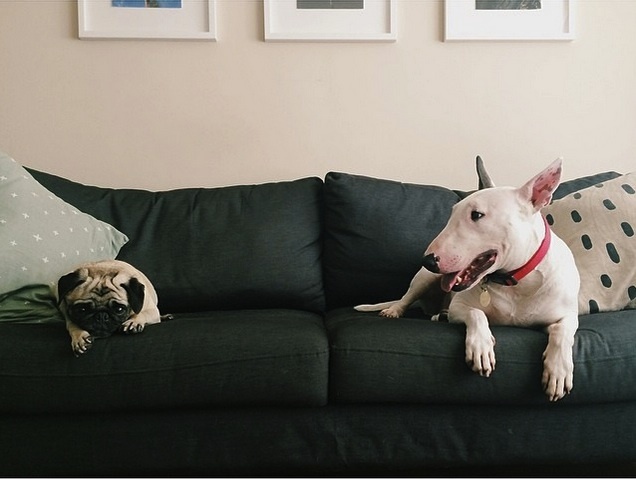 I’m always delighted when customers share photos of their Cotton & Flax pieces on Instagram, but I get a little extra thrill out of seeing your pets enjoy our pillows. 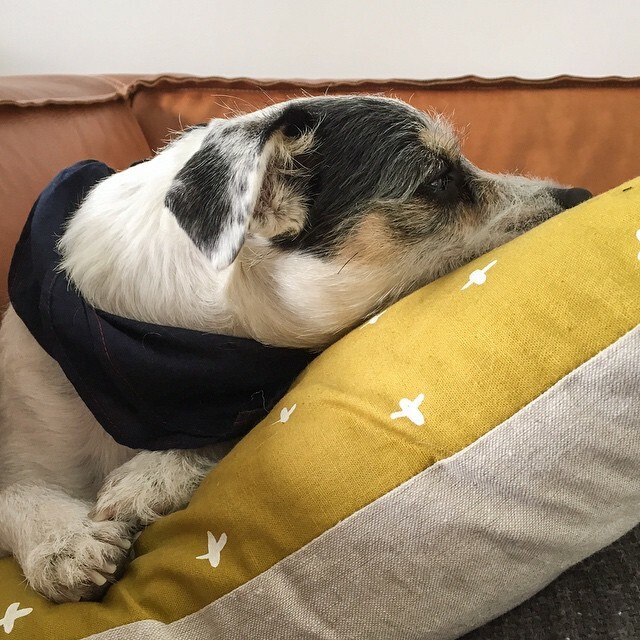 My friend recently mentioned that her pup has commandeered one of her Cotton & Flax pillows — definitely not the first time I’ve heard of a pet enjoying our products as much as their human family members do. 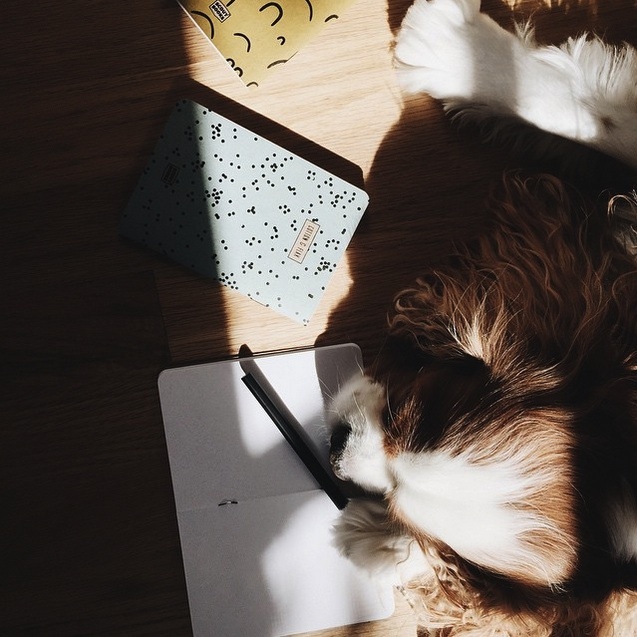 Above, you can see Whitney’s canine companion Stanlee, cuddled up with his favorite pillows. 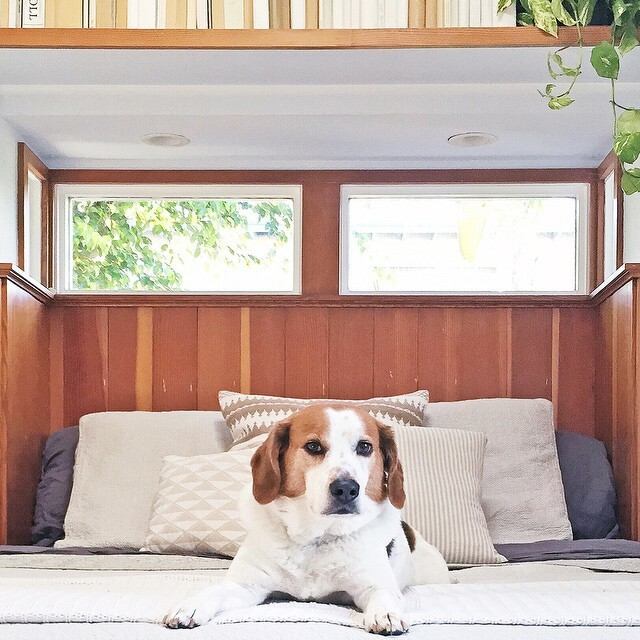 Kristine’s dog, Bagel, naps with her favorite Cotton & Flax patchwork pillow (on the sofa from our F/W collection photoshoot). 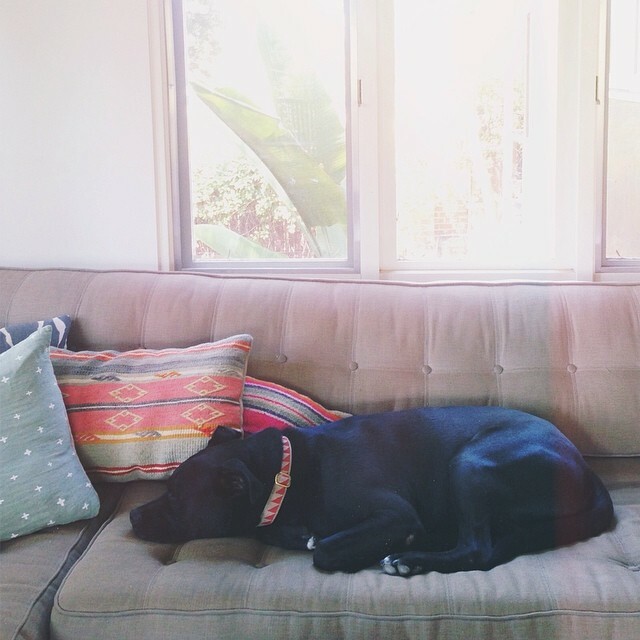 Sonja’s pup, Apollo, relaxing in style with one of our plus pillows on her cool modern sofa. Can’t forget Hazel! She tried to steal the show during my last photoshoot with Laure Joliet. 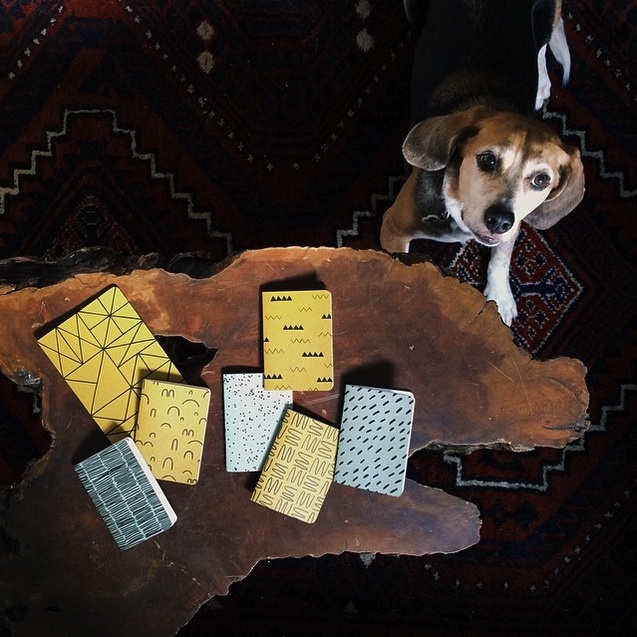 Laura’s pup, Morgan, and Satsuki’s sweet dog, Skippy, even got excited about our notebooks! 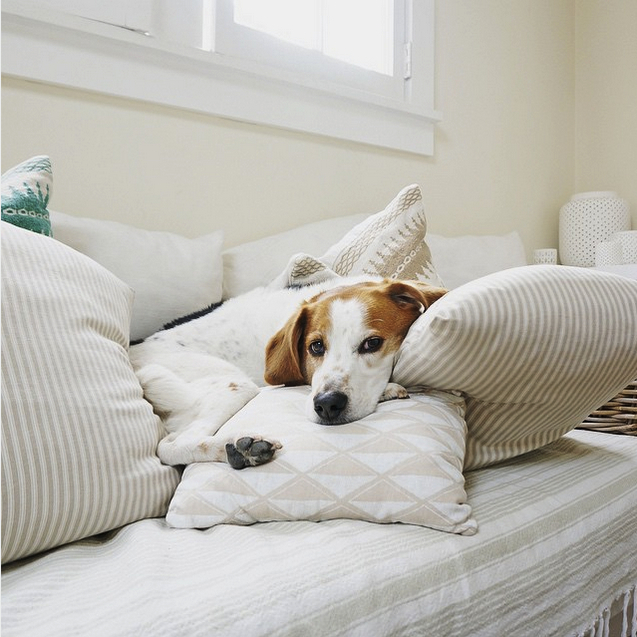 Keep sharing your pictures of pets enjoying Cotton & Flax pillows — tag me on Instagram at @cottonandflax, I’ll be the first person to comment with a heart-eyes emoji! Wanted to share some Cotton & Flax sightings! 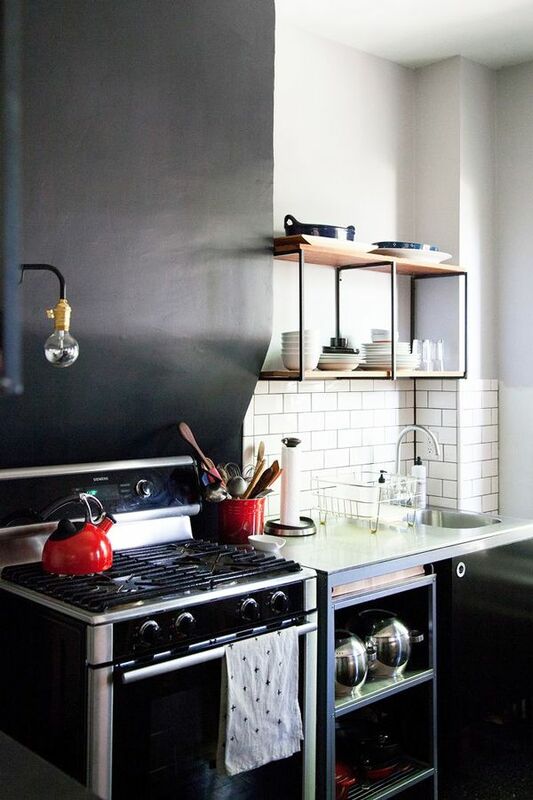 I spotted one of my tea towels on Refinery 29 yesterday, the beautiful modern home of Anna Dorfman. It’s such a thrill to spot my work “in the wild.” I get so much inspiration from seeing how you style your Cotton & Flax goods at home. 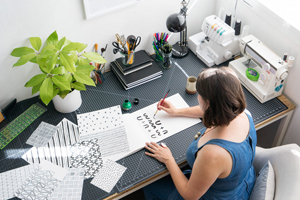 Love this photo of Laure Joliet‘s studio, the pillows mixed with the lambswool is so cozy. 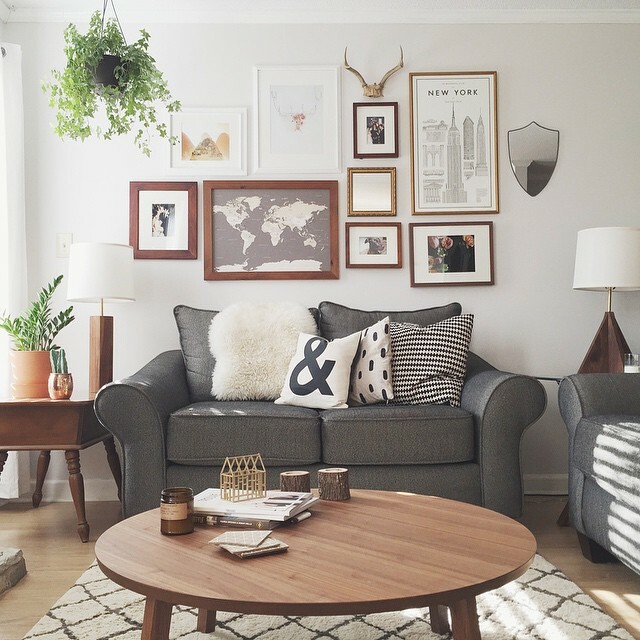 I love following Whitney Leigh Morris‘s on Instagram, she shares such beautiful photos of her home. Here she styled a Cotton & Flax pillow with lots of other neutral textures in the bedroom to create a layered look. Doesn’t hurt that her pup Stanlee is pretty much the cutest, too! 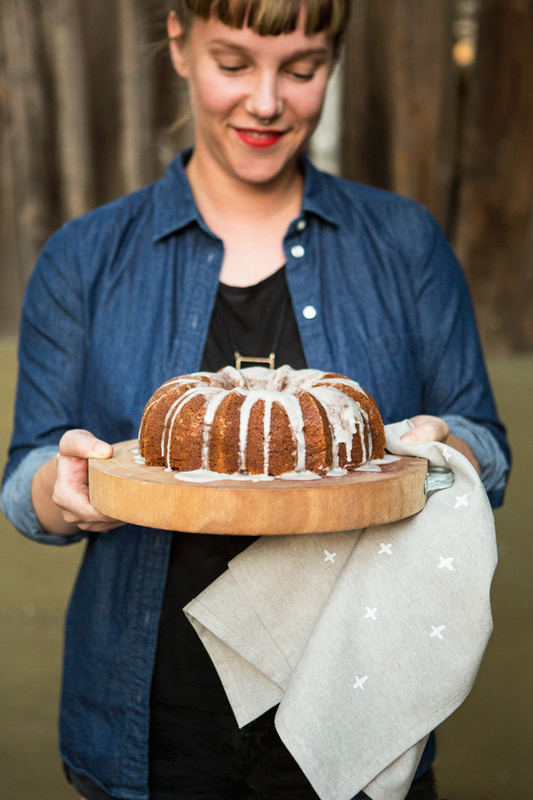 Show me how you style Cotton & Flax goods in your home! Tag me on Instagram, and I may share your photo here on the blog! Fresh peeks from my favorite Instagram feeds! 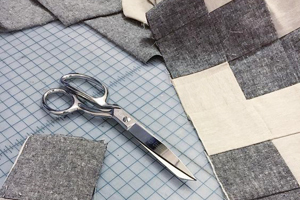 I get so much inspiration from seeing how you use Cotton & Flax goods, thanks for taking the time to post a glimpse into your beautiful homes. 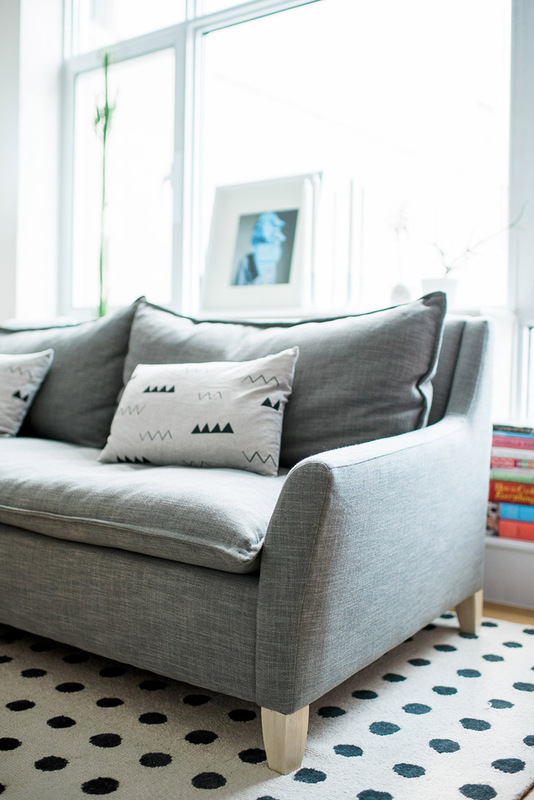 Above: I love how Shelli from Worley’s Lighting combines lots of black and white elements on her sofa for a layered look. 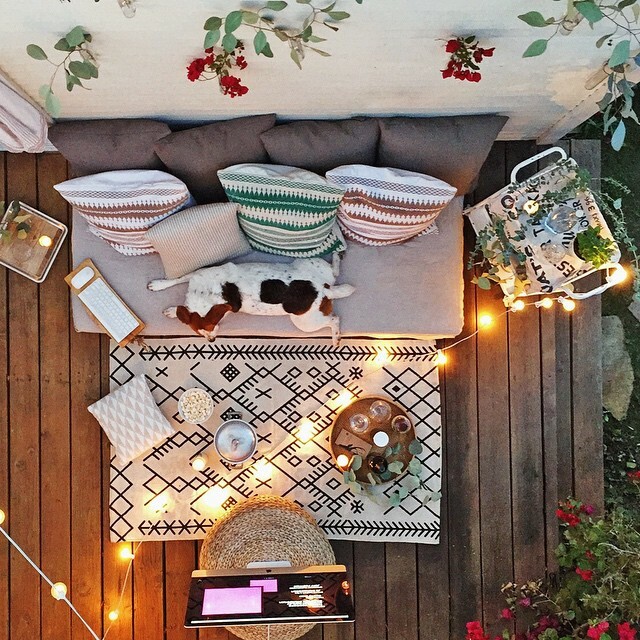 Check out the way that Whitney Leigh Morris has layered pattern out on her deck – that’s one incredibly cozy movie night! 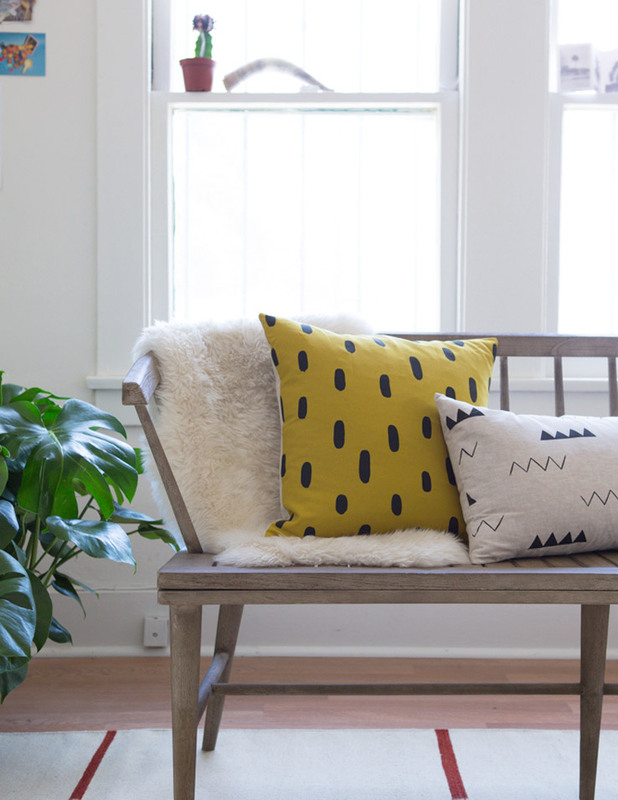 If you’ve added a Cotton & Flax piece to your home, show me how you styled it by tagging @cottonandflax on Instagram, or by using the hashtag #patternathome.